"I’m the guy who likes to put tequila and brown sugar in my oatmeal, so..."
People love to hate on pineapple as a pizza topping. Especially chefs. 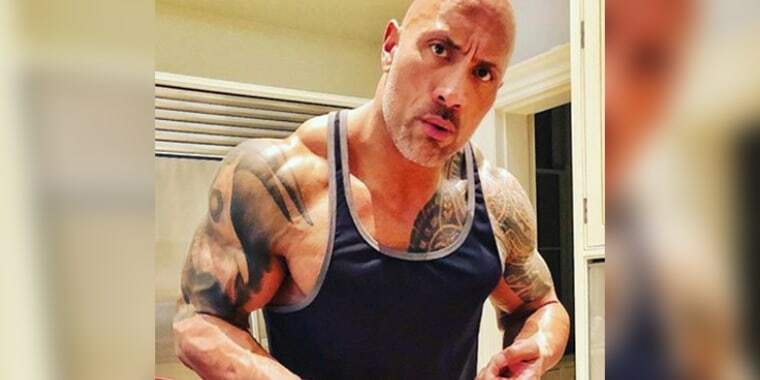 But would anyone dare to take on self-proclaimed pineapple-pizza lover Dwayne "The Rock" Johnson? On Thursday, the legendary athlete, actor and father officially joined team pineapple with a powerful (read: muscular) Instagram post. He posted a photo with a 20-inch pizza from London's Mulberry Street Pizza (with two more boxes beneath it) and explained his strength and conditioning coach sent him a note encouraging him to "carb up" for his "big scenes." Despite Johnson's expertise when it comes to cheat-day meals (he once devoured an order of sushi that could've fed a family ... or two), he may have to defend himself after jumping into the ring on this one (though, of course, he has the proper training for that). "I think we all know my thoughts on pineapple pizza," commented Gordon Ramsay, who once said, "You don’t put f—ing pineapple on pizza" on television. Actor and Internet personality Andrew "King Bach" Bachelor also weighed in: "Do you really eat that whole thing yourself?????" And actress Busy Phillips wrote, "I've been waiting for my trainer to tell me to eat a pizza for years. It hasn't happened yet." California Pizza Kitchen added, "We're #ProPineapple and pro @therock!" As word spread on Twitter, some of The Rock's followers deemed the pizza debate definitively over. I'm with Ramsay. Pineapple on pizza is an abomination. This is coming from an Italian. For many pro-Rock and anti-pineapple people, the news was positively earth-shattering. But beware: Now that you know The Rock loves pineapple pizza, it's only a matter of time before Hawaiian becomes your new fave, too. 2. No fruit on pizza! 4. That place imports their yeast from Naples. 5. The Rock says it's OK.
Only. A. Matter. Of. Time.